The new pillow Giallo vivo, in addition to the properties of visco-elastic foam, has a special inside insert able to keep away mosquitoes and all those troublesome insects which prevent a good night’s rest. 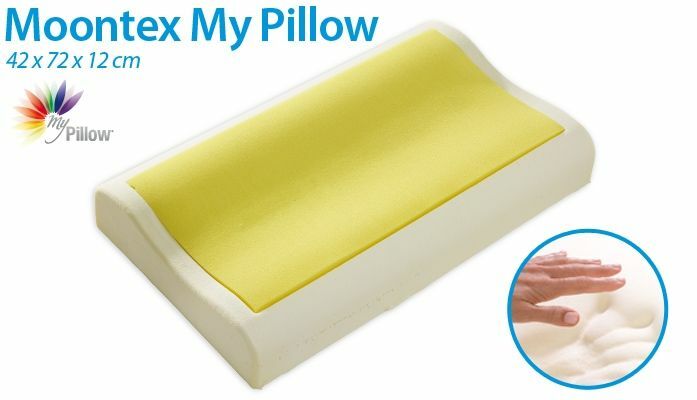 This exclusive insert is contained in the upper part of the memory foam and is assembled to the pillow structure directly during foaming. The Health Protection essence contained in the pillow is able to prevent and eliminate mites, mould and bacteria. What is more, the through-holes ensure good air circulation, keeping the pillow constantly dry. The anatomical version is ideal for people who suffer from neck pain, as it adapts perfectly to the shape of the neck, provides exceptional relief and correctly supports the whole body. High comfort, extraordinary adaptability and long lasting.